Critically endangered European eels exposed to low levels of cocaine in their water experience irreversible physiological damage that could hinder the future of their species, according to a study published in Science of The Total Environment. Exposure to low levels of cocaine caused the eels to become hyperactive and suffer muscle damage, even after being given the opportunity to recover. “This study shows that even low environmental concentrations of cocaine cause severe damage to the morphology and physiology of the skeletal muscle of the silver eel, confirming the harmful impact of cocaine in the environment that potentially affects the survival of this species,” wrote the authors. The irreversible muscle damage could hinder the eels’ ability to make their 5,900-kilometer (3,700-mile) spawning migration, which could have detrimental effects on an animal already more at-risk than polar bears or giant pandas. Researchers previously found that cocaine can accumulate in the eels’ flesh and affect their skin and hormone levels. Now, to evaluate the influence of cocaine on freshwater environments, the researchers studied the effect the illicit drug had on the skeletal muscle of 150 mature eels (10-15 years) after having kept some in tanks with 20 nanograms of coke per liter. Other eels were kept in saltwater tanks as a control. 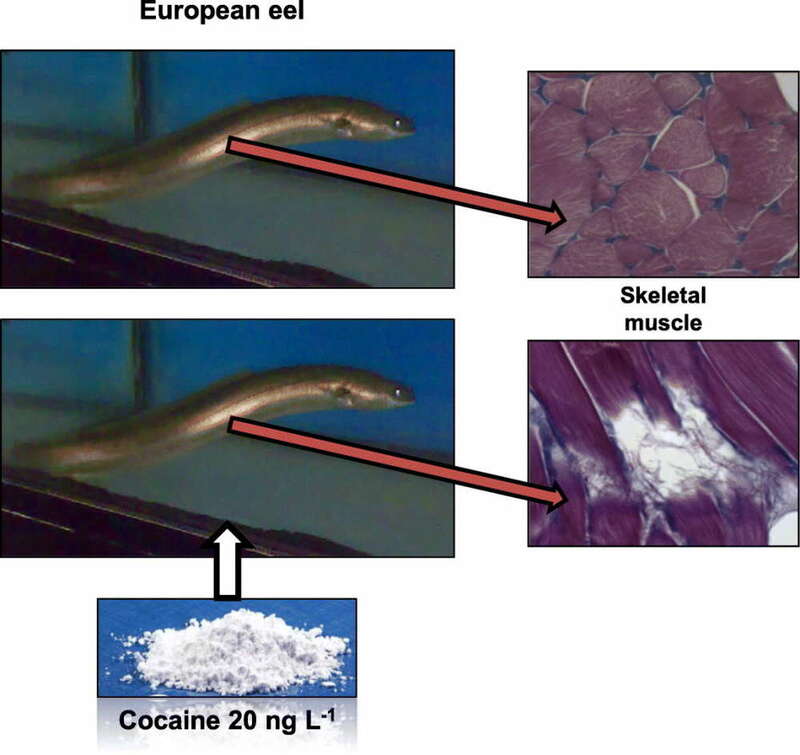 Eels in the cocaine tanks not only swam faster (cocaine is a stimulant known to produce motor stimulation and increase vigilance and awareness) but their skeletal muscle showed evidence of serious injury, including swollen muscles and broken muscle fibers. These injuries were still present even in eels given time to recover for three or 10 days. The authors note that drugs can make their way to surface water and seawater both because of how widespread they are and how inefficiently they are removed from wastewater (just 50 percent). Waterways around the world contain low levels of drugs – both prescribed and illegal – that can harm the animals that live in them and the humans that drink from them. In the US alone, discarded pharmaceutical drugs like antibiotics, hormones, contraceptives, and steroids were found in 80 percent of rivers and streams sampled, potentially contaminating 40 million Americans’ drinking water. 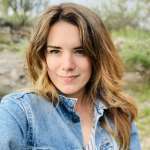 An unrelated study found antidepressants were causing starlings to feed less, while contraceptives were reducing fish populations in freshwater lakes. In freshwater habitats where these drugs are typically found, as much as three-quarters of fish and amphibians had been wiped out. 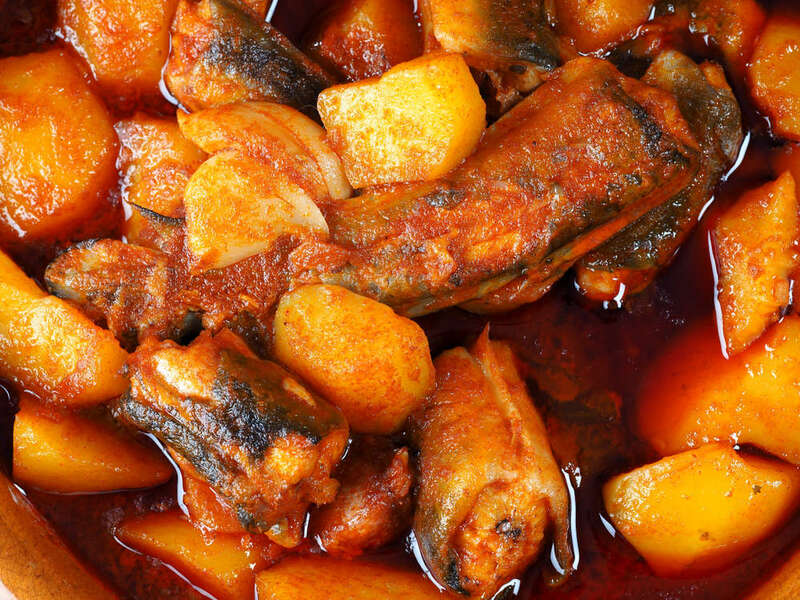 What's more, since cocaine accumulates in the eels’ flesh, people eating them could also be consuming low levels of the drug.